Until recently, I didn’t realise how much South Wales could offer in terms of open canoeing day trips. 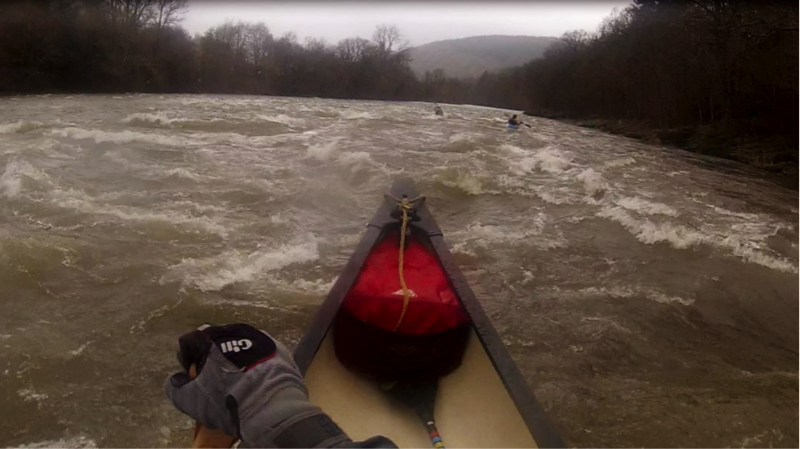 I’d heard of the classic Wye tours but did not realise just how much there is to paddle there: From meandering grade 1 to technical grade 3, something for everyone! I had the opportunity to spend some time down there and between walking and caving, I managed to borrow a subtle lime green canoe and sample some of many stretches of Welsh goodness. This river has a classic 2(3) section from a little village called Rhandirmwyn to a bridge at Dolauhirion near Llandovery. The Tywi has a gorge-like character which leaves you peering anxiously around every bend but never reaches more than 2+ in lower levels with small ledge drops and continuous wave trains. The biggest challenge is the final rapid under the bridge at Dolauhirion which provides some last-gasp entertainment or a final huzzah! Trees are a slight problem but they make good fun to duck under, line around, portage and some simply need a good line to avoid. I’d never heard of this little gem before checking the guidebook, a little river which will leave you with a big smile! With all other rivers being bone dry, the Usk from Sennybridge to Aberbran provided a low water option with plenty of interest. Here, shingle rapids offered the opportunity to pole up and downstream, practice eddy hopping and pin down leadership skills. There are 3 ledge drops which need careful consideration in a canoe as they have sharp 90o edges and some towback. However, it was fun to line down some chutes! The drops looked to be perfect boof ledges for kayakers, but are a little ‘adventurous’ for canoes! There are more sections below this which range from grade 2 below Brecon to some more challenging 3/3+ around Llangynidr. With a limited amount of time left on my final day, I finally got the chance to paddle on the River Wye from Builth Wells to Boughrood. This section offers a gentle cruise, even at high levels with the occasional fast wave train to offer the canoeist the challenge of the anti-swamp line and some very sport eddy lines to play with! Bailer essential! There were also a few shallow clean surf waves to add some extra spice! 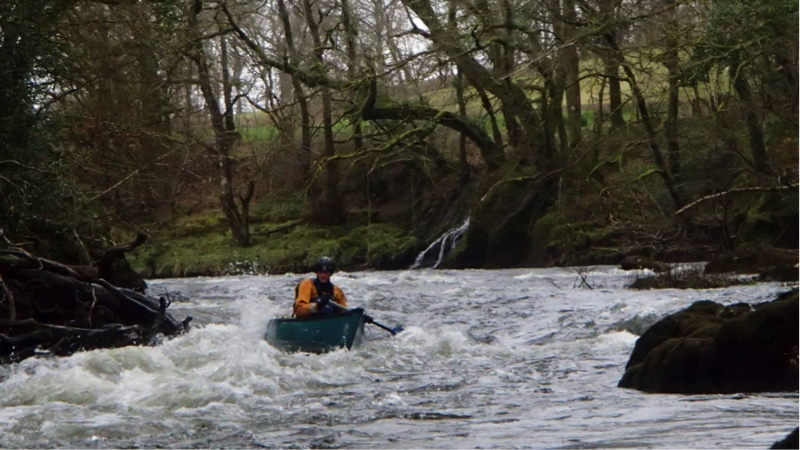 There are many other sections of the Wye to explore, the general rule being the further down the river you go from Rhayader, the easier it gets. 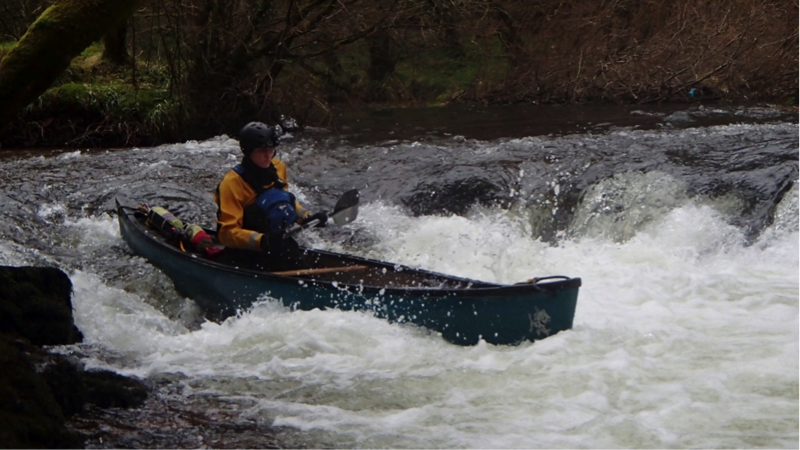 If you’re planning on paddling on the Wye or Usk check out the Wye Usk Foundation website for information on access agreements and some useful PDF river guides. I’m no expert on the area but there are a many more days of paddling which I would like to do in the Brecon Beacons area including the Brecon canal trail which has links to the River Usk and a variety of pub stops, more of the wonderful Wye, the Taff near Cardiff, the Ogmore in the Vale of Glamorgan and some touring on the Teifi which is a little further north. For days off the water, there are showcaves and plenty of walks in the Brecon Beacons.